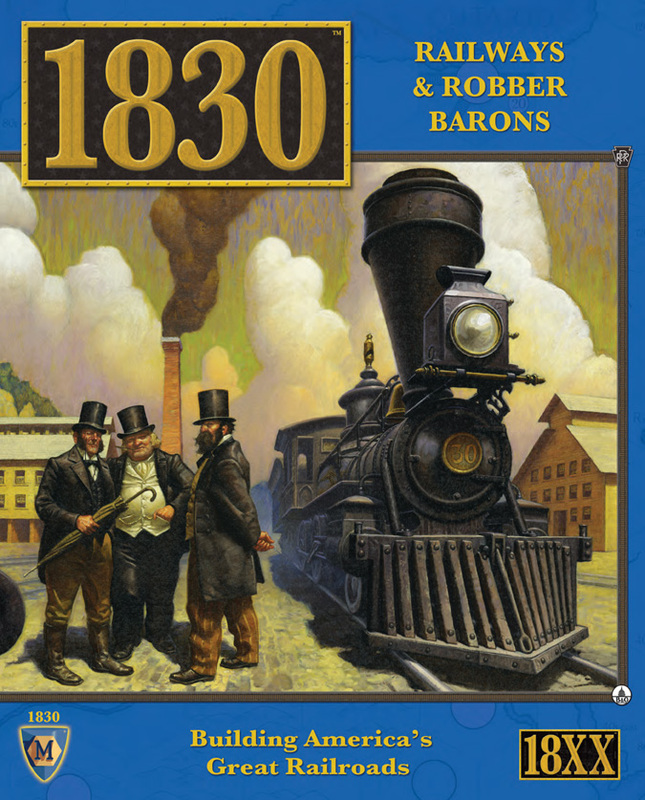 To great excitement amongst train game fans, Mayfair Games has re-released the long out of print, and iconic game 1830: Railways & Robber Barons. This is big news, as 1830, via its original release in 1986, helped found an entire genre of games known as 18xx. 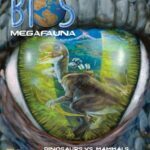 The original publisher, Avalon Hill, closed its doors in 2000, leaving this game out of print for years and largely unavailable to modern game players, as it commanded extremely high prices on the secondary market. 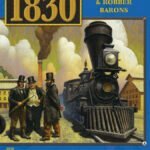 The new edition of 1830 represents a fresh start for an old classic game, and a possible on-ramp for new players to the 18xx genre. In the years since 1830 was originally released, a large number of small press 18xx games have been produced but mainly in very small quantities and with limited distribution. Unlike these subsequent games, 1830 will grace many game store shelves, giving shoppers a chance to buy. In this piece, I will review 1830 as a game. If you have not played 1830 or any other 18xx game, you need to know what might be good about this game. 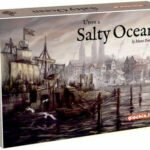 If you are an owner of the Avalon Hill edition of 1830, you will want to know whether it will be worthwhile to buy the new edition. I will discuss 1830 – the reprint – a bit further on in this review. And I also want to discuss how 1830 might serve as an introduction to the greater 18xx genre. So sit back, and we’ll ride this train to where it needs to go! 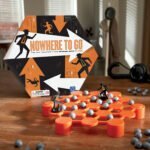 It is a fair question to pose: Can a game originally released in 1986 still entertain modern board gamers? After all, a lot has happened in game design over the past 25 years. Tastes change, so can this design please a new generation of gamers? Let’s take a look at 1830 as a game. 1830 is a big bookshelf type game box. Opening the handsome box, you encounter a large number of components. There are many thick hexagon shaped tiles that serve as railroad tracks. There are a large number of cards, tokens, play mats, and a double-sided game board. The rule book is impressively thick, but a quick flip through it also shows that it is a well made game manual, with good organizational numbering, colorful graphics, and several examples of play. The manual is an impressive 48 pages long. Plenty of reading ahead! 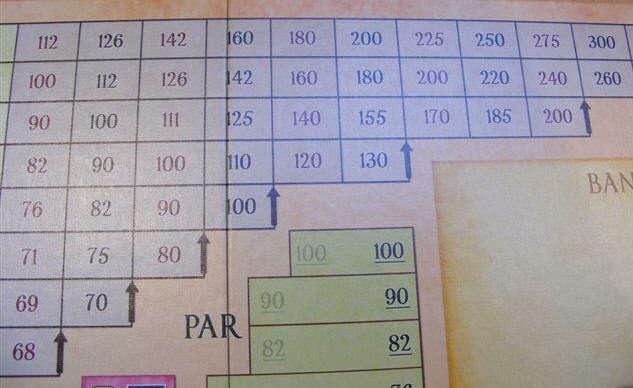 1830 is not a simple game so Mayfair has laid the rules out to teach the game in stages. Players can start with a simple beginners’ game where they learn to lay stations and track, buy trains and operate routes. This isn’t a game many will want to spend much time with but it serves as a tutorial for what is to come. The second portion of the rules outlines the “standard” game and composes the bulk of the manual. The standard game is not the original game but it is quite close. In this game, players encounter a key concept, that they must manage their personal wealth apart from the funds of the railway corporations they control. Further, control of railway corporations is subject to change based upon who is the majority stockholder. The majority shareholder becomes the president of the corporation, and makes all decisions about how to operate that enterprise. We’ll get further into these details later. The third portion of the rules cover the “Classic 1830” rules, and are built upon the standard game rules. 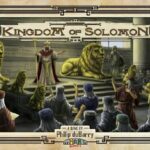 The changes from the standard game rules are called out, guiding the players to an experience identical to the original Avalon Hill release. 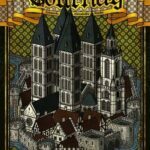 Finally, a substantial appendix covers several variant games which are included, including all needed components. 1830: Railways & Robber Barons is set in the Eastern United States and Canada. It explores the development of railroads, and the large fortunes that could be won or lost. Players manage their personal wealth during the game by deciding whether to purchase stocks in various private railways and railway corporations. The game is structured to oscillate between Stock Rounds (where players make decisions around what sort of assets they want in their portfolio) and Operating Rounds (where railways conduct operations, including the laying of track and the running of routes). There is skill to be applied in both portions of the game. There are no random elements in a game of 1830. Certainly the actions of the other players have a huge effect on the outcome but, in theory, if players were to make the same decisions in a subsequent game, the outcome would remain the same. 1830 is not a quick game. Playing styles and the player count can have a big effect on the duration, but times of 4 – 6 hours are common. Let’s take a brief tour of how the game is conducted. The game begins with each player being given an identical amount of play money. There are six small private railway companies that must be auctioned off before any larger railway corporation can be founded. Depending on whether you play the standard or the classic game, the auction will be conducted a bit differently. Each private railway has a unique proposition (meaning they have different revenue values and different positions on the board) and the initial position you take from this preliminary auction will greatly impact your goals and activities during the heart of the game. After all the private companies are assigned, then shares of the railway corporations are available to be purchased. Each railway corporation has 10 shares available, two of which are bound into the President’s certificate. The first player to buy into a corporation becomes its President, and establishes the par value of unsold shares. A corporation must sell 60% of its shares before it can form into an active company. Once this occurs, it can participate in the Operating Rounds. A Stock Round ends when each player in order passes. The player to the left of the last player to act receives the Priority Deal card, allowing him to act first in the next Stock Round. This is an important point, as you will see later. Next, the Operating Round (OR) begins. Initially the game swaps between Operating Rounds and Stock Rounds evenly. As the game progresses, more operating rounds are introduced. First thing each OR, all Private Railways pay their owners a set amount of revenue. Generally speaking, private railways are a significant source of revenue early in the game. Later in the game their revenue becomes less important. Next, any floated corporations (that issued 60% or more of their stock) are allowed to conduct business. Corporations operate in an order tied to their stock value. So the most important railroads operate first, with smaller, less valuable, railroads operating after. Within their OR turn, corporations have a set sequence of game activities. First, they place a home token on their starting city. The map is largely empty of track at the start of the game. But each corporation has a home site, from where they will base their operations. As the game goes on, each corporation has a few more tokens they can use to establish new stations elsewhere on the board. A single piece of railroad track may then be played to the board. Initially, only simple configurations are allowed, and these are printed on yellow tiles. Later, more complex track configurations will be available on the other colored tiles in the game. After building one piece of track, and possibly laying a new station token, a corporation can then run any trains it owns on a route between cities that can be reached from a station they control. The early trains can serve two cities, but later trains can serve more. As newer trains get bought, the old trains eventually become obsolete and are removed from the game. Initially, no corporation owns a train. So for their first round of operation, no corporation can run a route nor can they issue a dividend. The final thing a corporation may do each turn is to buy locomotives. A key point is whether a corporation pays a dividend to its shareholders. After a corporation has run any routes possible, the president of the corporation decides whether to issue a dividend or retain all revenues for the company. If a dividend is paid, the stock value of the corporation will go up in value. If not, the stock value will decline. Since corporations operate in descending stock value order, this decision can impact the order of play in future turns. This decision directly affects the value of the shares in the corporation and, in order to win the game, you will want the most wealth. Generally corporations will pay the dividend but not always, as corporations need some money to buy trains, to place station tokens, and to build track in difficult terrain. Players are limited to owning only a certain number of stock and private company certificates. This restriction generally would promote the ideal of only owning the most valuable shares available. But the game includes some special rules around distressed stocks, which enhances the prospect of owning them. The game is designed to get larger as it is played. The progression is tied to the purchases of locomotives. Initially there are six “2” trains available for sale. Once they are all purchased, then the “3” trains are made available. Once a corporation buys a “3” train, the game shifts. More complex track configurations become available. Instead of just a straight or a curve, now forking pieces of track may be built upon the original simple tracks. The original tracks are printed on yellow tiles. After the “3” train is purchased moderately complex green tracks are available to be built. However, they may not just be built – they must be used to upgrade a simple yellow tile, ensuring all original track configuration is kept. Later in the game, complex track on brown upgrade tiles become available and these must be played in place of green tiles in a similar manner. The game also expands the importance of the Operating Rounds. Initially there is just a single OR after each Stock Round. Once the green tiles come out, then there are two ORs between Stock Rounds, and after the brown tiles come out (after a “5” train is purchased) there are 3 ORs. 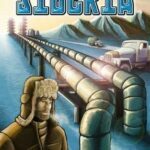 This game form puts an emphasis on profitably operating the railway corporations. A game of 1830 will usually continue until the game bank of $12,000 is broken. Once this occurs, play continues to the end of the current set of ORs. Final valuation is computed and the richest player wins the game. There are two basic ways to make money in 1830. First is to receive dividends. Initially, small private companies provide a regular payment. But eventually they close down, and the dividends you receive will come from owning shares in railway corporations. (These need not be companies you have a majority stake in.) But at game end, the stock value of your railway shares can be a significant portion of your final score. It is worth noting that the stock market rewards companies that pay lots of dividends with steeper stock value jumps on the right hand portion of the stock chart. 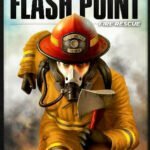 A potential way the game can end is due to a player going bankrupt. And this brings us to another key rule to the game. Each railway corporation is obligated to own a locomotive if it has a valid route. This rule coupled with the fact that the early “2’, “3” and “4” locomotives will be made obsolete as the game progresses means corporations must manage their treasury funds with an eye towards replacing their trains during the game. Should a corporation be obligated to buy a locomotive (and they get quite expensive late in the game) and should it not have sufficient funds to buy a train, its President is obligated to buy the train for the corporation. This can be a devastating blow to a player’s success in the game and can potentially cause the player to go bankrupt. It is worth mentioning that after the early game, it is legal to buy trains from friendly corporations. It is common for experienced players to operate two or more corporations at the same time. Crafty players will find ways to benefit from this close relationship. For example, one corporation might lay tiles that only benefit the second corporation. Or, an earlier corporation is about to lose its older “2” train due to an impending purchase of a “4” train. This corporation may not have enough money to buy a “4” train from the bank, but he can buy a spare “3” train from his allied corporation for as little as $1. All this is to say that 1830 is not for everyone. People who like short games or have a strong dislike of mathematics should avoid this game. Players who like gentle games should also take warning. 1830 is a game about financial dominance. Players are allowed to buy stock of corporations controlled by their opponents, and may freely sell it solely to trash the value. Further, during operating rounds, clever tile play can strangle a young company before it has a chance to get rolling. This is not a gentle game. Earlier in this review I mentioned the Priority Deal card, and how important it can be. A brutal maneuver is to sell off shares in a company that you control, dumping the company on an unsuspecting minority share holder. Typically such a maneuver will be done when the company has just lost its last train due to old age. And typically this transition has been carefully staged by the wily president of the railway corporation. He will have seen that his company is likely to lose its last train due to “rusting” rules. So he will drain the company of all the money he can, selling its best assets off for a song to a different company which he also controls. Then when the game enters the Stock Round, because he made sure he had the Priority Deal card, he can sell off his interest in the company, and shirk his responsibility to buy the mandatory train the company must buy. Instead, a hapless shareholder is suddenly the President of a broke, train-less corporation, and will have to buy the train with his own funds. Did I mention how mean this game is? So there we have it. 1830 is a mean, long game. And that is exactly why I like it. I find there are many things to consider as I play the game. Running a profitable railway corporation can be challenging. Decisions on where to place tokens for new railheads, how many locomotives to buy, where to lay the tracks to create the most valuable routes are all of interest. But what really ramps up the interest is the fact that the other players are actively seeking to undermine you. Will they buy trains quickly in order to rust your array of locomotives? Will they buy and dump your stock, to drive your net worth down? Will they strive to take over the same corporation you are eying? Are you vulnerable to a dump, which would saddle you with a beleaguered corporation?To be sure, this is an interactive game! And it is clear that 1830, and 18xx in general, has a number of fans. In 1974, Francis Tresham published the first game of the 18xx series, called 1829, which was set in England. 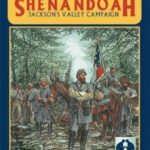 In the 80’s, he went on to write 1853, set in India, and with development by Avalon Hill, he authored 1830 set in America. Back in the 80’s, the only 18xx games available were Mr. Tresham’s efforts. In the 90’s a few more 18xx titles were released by other authors, but the number of games was still very limited. Jump to the modern day and there are now dozens of titles. Granted most of these games have had very limited publication runs but there is now a growing community of 18xx players. Many of the people now showing interest in 18xx have not had easy access to 1830, so this republication of an iconic game is big news. SHOULD I BUY THE 2ND EDITION? 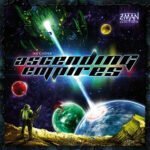 One open question for a number of established 1830 players is whether or not they should buy the new edition, especially if they have the 1st edition on their shelf? 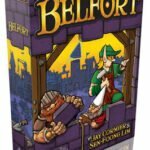 Mayfair Games has made a beautiful edition to be sure. They have also taken this opportunity to address some of the ambiguities to be found in the 1st edition rules. But best of all, they have put even more in the box. Certainly you can still play classic 1830. But now an alternate map “1830+” is included in the game. The familiar map of Canada and the eastern United States has been expanded to the south, and placed on the flip side of the original board. The final section of the manual outlines a number of variant scenarios. I have played two of these scenarios, and while I have my doubts about them, I freely admire the effort to turn 1830 into a game kit. I do have some nits with this edition. While overall I am quite happy I own the new edition, a few deficiencies have appeared during play. Unfortunately a number of errors were made. Known issues include: tiles with wrong payout values, misprinted building fees on the board, unneeded and misleading token positions on corporation mats, conflicting information about which tiles to use in the scenarios, and a wrong corporation emblem published on one of the expansion tiles. While not errors, some decisions were made that make me wonder why. Why were the corporation chips that are used on the stock chart back printed? It is common practice for 18xx players to flip these chips during the ORs, to indicate that the corporation has operated. With a back-printed chip this convention is made impossible. Why did they decide to renumber all of the tiles? There is a common language between 18xx players. Mayfair does use the old numbering system as well, but why muddy the water with a brand new numbering system? Also, it should be mentioned that Mayfair opted to try new art for the track tiles. You may play the classic game with the old style art. But if you want to play the new scenarios you will need to swap over to the new style art. My final nit is with the name of the game. 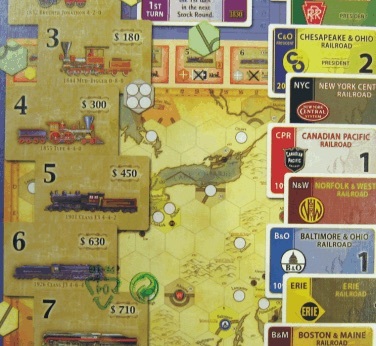 The Avalon Hill edition was named: 1830: The Game of Railroads and Robber Barons. The new title is: 1830: Railways & Robber Barons. 1830 is a game set in America, and while “railway” is a perfectly valid term, “railroad” is more commonly used here in America. Why did they change the title? None of these issues seriously erode my enjoyment of this edition. And it is worth noting that Mayfair announced that they will be releasing a set of tiles that fix the known errors. It is just surprising that an important game like 1830 that took years to prepare has quite as many errors as this edition has. Even so, I am happy to own it, and encourage readers to not let these errors deter you from buying a copy. 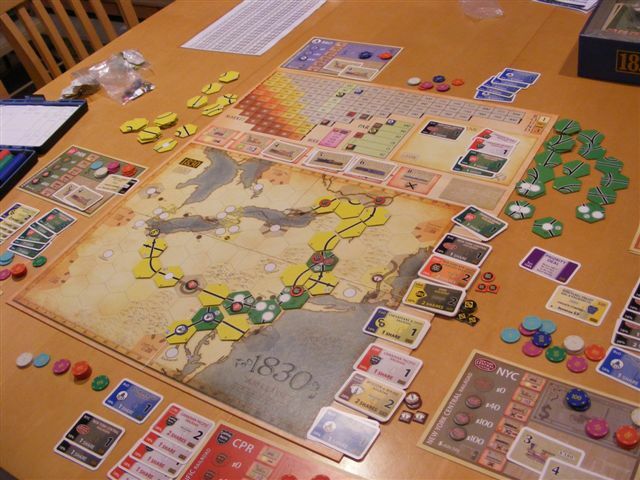 1830 represents an “on ramp” to 18xx gaming. Mayfair seems aware of the market potential for 18xx, as they now own 18xx as a trademark, and prior to releasing 1830, they republished Francis Tresham’s 1853 game set in India. 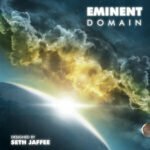 If these games (which have substantial print runs) are successful, a number of new players will be initiated to the world of 18xx. 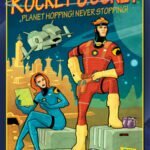 Smaller publishers of 18xx games may see more demand for their games. 1830 has a special position in the 18xx family. As mentioned before, the first ever 18xx game was 1829. In 1829. stock value is dealt with on a linear scale, moving left if the value goes down, and right if the value goes up. 1830 was the first 18xx game to feature a 2-dimensional stock chart. The stocks can still move left or right, but now they can go down if sold, and up in certain circumstances. This means there are more ways to manipulate stock value. This refinement is huge, and 18xx is often defined as a tree: with one branch being 1829 and descendants, and the other branch being 1830 and descendants. So having 1830 back in print is big news, as players will have a chance to learn 18xx in the classic form. Many small print 18xx games resemble 1830, just on a different map. So learning 1830 as an early experience in 18xx, will serve new 18xx players well. 1830 is a brutal game but the lessons learned on this game will serve these players well for most any other 18xx match they may enter. It should be clear by now that my personal assessment of 1830 is very high. While I loved my Avalon Hill edition, I am very happy to now have the new Mayfair edition on my shelf. 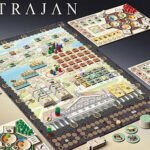 Mayfair Games has produced a beautiful edition that preserves the classic 1830 game, yet now offers several variant scenarios, turning 1830 into a game kit. Further, 1830 is an ideal game for learning 18xx lessons. Especially compared to 1853, 1830 will teach new players key lessons that will serve them well if they venture into some of the many small press 18xx games now available. I heartily recommend adding this game to your collection!